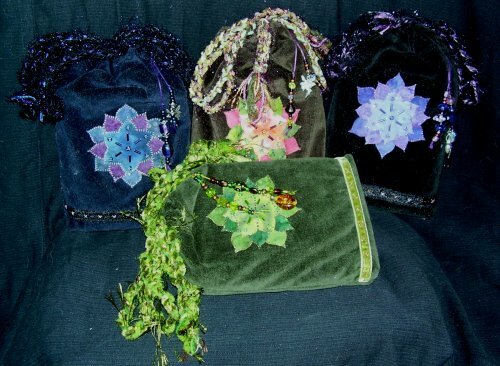 Franmade Bags – Fran is the mother of Kat Black, creator of the Touchstone Tarot deck. She made the bags that come with the limited special edition of the Touchstone. I really, really like that bag. It’s very charming and perfectly suited to the tarot deck. My only problem (and what keeps me from buying more) is that they are single drawstring bags. Heh, just realized that one of my favourite fabrics used by Annabelle’s, called Stargazer, is the same fabric mentioned above in the Tarot Totes entry except that Annabelle’s is black, silver, and gold and Tarot Totes’ is blue and gold. Yet another reason to buy one of those Tarot Totes padded cases. It appears to be a popular fabric, as I recently came across another Etsy bag creator who uses both colours of it in her handmade bags as well. Having seen the fabric in person, I can see why. You asked for it, so here it is. 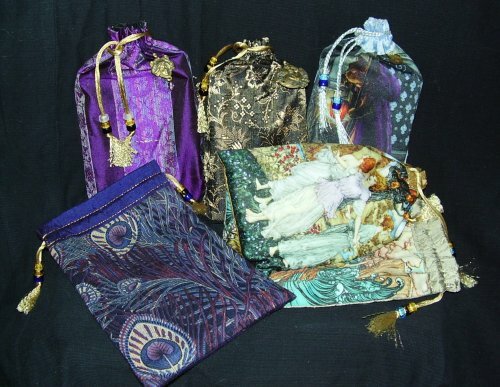 We think you will like our new tarot bag design called Regency. 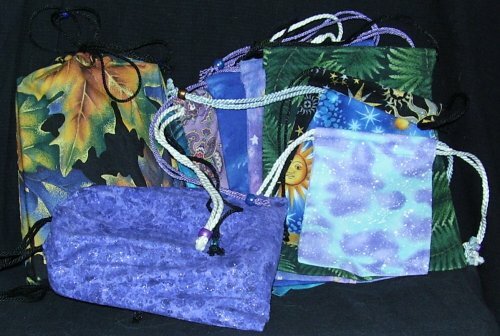 See over 25 double draw tarot bags on our website at Tarottotes.com. Thank you for the recommendation and suggestion. By the way, we love your blog. Last week, we included it in a list of “must visit” tarot blogs, which we listed on our blog. Card Kitten is powered by	WordPress 4.9.10 and delivered to you in 0.472 seconds using 42 queries.